Avicennia marina is the only naturally occurring mangrove specie in the arid Arabian Gulf coast of the United Arab Emirates (UAE). Due to water scarcity, A. marina is a precious biomass resource for the UAE that does not require freshwater for growing and is able to grow in the Arabian Gulf high salinity conditions of over 40 g/kg. 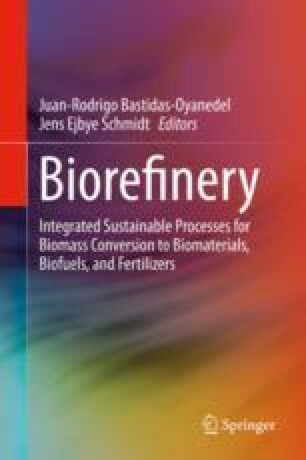 Importantly, this lignocellulosic bioresource may be used for the production of high valuable chemicals. In this manuscript, we present the first lignocellulosic composition characterization of Arabian Gulf A. marina. To do this, A. marina stem, leaves, and pneumatophore samples were collected from two locations in the United Arab Emirates and chemically characterized for sugar composition, ash content, and by-products using standard protocols. Analysis revealed that A. marina arabinan, xylan, glucan, and lignin composition ranges between 1–22, 5–18, 10–31, and 21–48 g/100g_TS (TS: total solids), respectively. The highest composition of xylan and glucan was obtained for stems and pneumatophores (45 and 38 g/100 g TS, respectively). Xylan and glucan are the polymeric precursors for the production of high-value chemicals such as furfural and hydroxymethylfurfural (HMF). Under the characterization conditions, it was obtained furfural and HMF (g/100 g_TS) in the ranges of 0.05–0.42 and 0.45–2.1, respectively. The authors would like to acknowledge the financial support from Masdar Institute of Science and Technology, to help fulfill the vision of the late President Sheikh Zayed Bin Sultan Al Nahyan for sustainable development and empowerment of the United Arab Emirates and humankind, funding project 2GBIONRG (12KAMA4).